FRANK KRUEGER (Bishop) Frank is thrilled to have the opportunity to work with the incredible artists at The Zoo Theatre Company on this remarkable play. Some favorite past roles include The Dairy of Anne Frank (Otto Frank), A Few Good Men (Kaffee), and Hamlet. 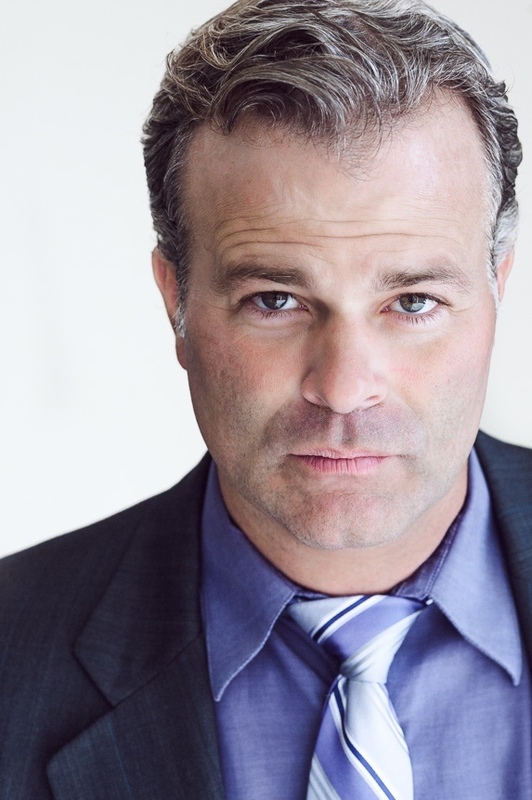 He has appeared in several television shows including The Mindy Project, CSI: Cyber, NCIS:LA, and Bones. His independent feature film credits include No More Mr. Nice Guy, The Pink Conspiracy, The Mourning, and Break. In 2014 he wrote, produced and starred in the feature film 20 Ft Below: The Darkness Descending which is currently available on Netflix. He recently produced his second feature film, The Lurking Man, which is beginning its festival run this year. His performance is dedicated to the memory of his parents. Stephanie Shultz is excited to be a part of this brand new production with the newly formed Zoo Theatre Company. Originally hailing from Tucson, Arizona; Stephanie starred in her first play in 5th grade. She's been hooked ever since! She recently engaged in a two week intensive study thru Steppenwolf West facilitated by prestigious alums such as Jeff Perry and Alexandra Billings. Some of her favorite roles include 'Maureen Folan. in "The Beauty Queen of Leeane", 'Meg Mgrath' in "Crimes of The Heart" and 'Elvira Condomine in "Blithe Spirit"
Julia Lisa has been an unintended Artivist promoting peace, health, and environmental issues. She believes theatre holds incredible power of change. Unable to stay away from theatre, she got her BA at University of Massachusetts Amherst, she has worked in Theatre marketing and management for many years and prides herself as a teaching artist who wants to share her love of theatre with the next generations. Her credits include: Choreography for CAC Studios - Thenardier's Inn, ChicabaRENT, and Project Mayhem; Directoring for Chitty Chitty Bang Bang, Broadway Noir, and Letters To Eve. Lauren started her acting career at the New York Conservatory of Dramatic Arts. After graduation in 2011 she has done film and theatre in NYC, Atlanta, and Florida. Los Angeles is er home now and she has been acting in films such as "Posted" and "M". Lauren is excited to join the cast of White People Drinking. Sam T. West believes that the planets have aligned to give him the good fortune of being a part of 'White People Drinking'. And he is EXTREMELY thankful to be a part of this timely and important production. A SoCal newbie, West has spent the last nine years in New York City in the trenches of Indie and Off-Broadway theater. Don't worry, Sam is not going to list his entire resume in this bio....just the three that got good reviews and paid his bills: 'Rocky Philly' by Van Cougar Co. This production re-enacted the entire 'Rocky' film, substituting its dialogue with real stories of Philidelphians from the 70's. 'Tube' by Van Cougar, a play transforming iconic YouTube videos into a cabaret(trust me, it worked). 'Big Green Theater' by Superhero Clubhouse. An ongoing production that takes short stories written by 5th graders studying the environment, and performed by professional actors. Sam would like to thank You the viewer for helping keep the arts alive. And also thank the great minds at The Zoo Theatre Co, and everyone else out there fighting the good fight.